The Client: Founded in 2010, the company aims at changing the industry inside out by bringing a unique concept that focuses on providing telematics integration, GPS-based tracking, and remote asset management solutions. With annual revenue of 965.7K USD, this company has recently acquired a huge group of company. The client needed a robust and scalable solution for one of his IOT Applications. They wanted to host the application on AWS infrastructure. They also wanted us to do Assessment of applications and data flow for vulnerabilities or deviations from best practices. The key factors were to increase responsiveness, productivity, and efficiency of the application along with maintaining a highly available infrastructure and ensure Auto-Scaling at the time of resource crunch. The client wanted us to automate their complete environment to ensure Business Continuity and to 'keep an eye' on all activities and logs that gathers into the system to maintain and ensure stability and consistency. The client is an Application development organization needed an IT infrastructure partner who could support them with building their IoT infrastructure on AWS following the Industry standards. Moreover, they also wanted the support of following best practices in DevOps that is best suited to their requirement. The i2k2 Networks team provided several comprehensive infrastructure management solutions and after further evaluation, the most suitable option was selected in a joint exercise with the client. The i2k2 project team devised a comprehensive roadmap, which addressed issues such as designing and implementation of AWS infrastructure keeping in mind the best security practices followed in the industry. In the first release, all of the existing data was migrated through DMS service. IOT devices were configured as they were going to use normal TCP/IP protocol. The team used a couple of EC2 Instances as Web Serves under a load balancer for data collection and compilation. A Flume engine on Web server was used to push log data to the S3 via HIVE Metastore along with the use of EMR cluster with HIVE for data analyzing & processing. The i2k2 project team also helped them in the implementation of best practices in DevOps along with the timely support. The i2k2 project team helped the client in eliminating the responsibility of Non-Core Competency resources. The new solution significantly lowered the Total Cost of Ownership (TCO) while maintaining a high level of customer service and satisfaction. This initiative also enabled the client to utilize industry-standard best practices. i2k2 Networks also helped the client with day to day challenges by providing highly skilled and experienced support staff. The solution was able to drive Service-level-driven performance targets and hence enhancing the productivity and efficiency of the organization. 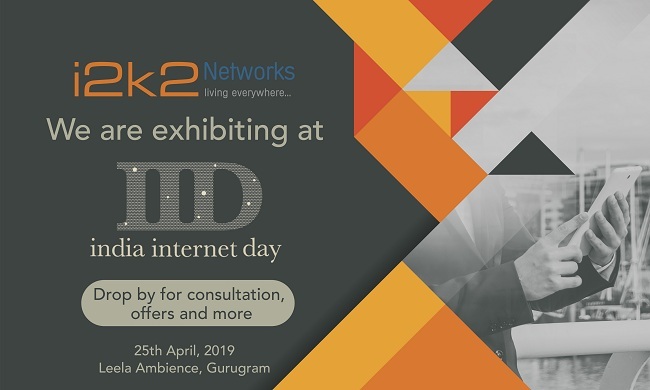 i2k2 Networks is the No.1 Dedicated Web Hosting Company in India and a trusted name in the IT cloud hosting services industry that offers a full gamut of cutting edge enterprise solutions which drive business in today's Internet-powered world. Our folio includes Dedicated Servers, Cloud Hosting- Public, Private and Hybrid, Data Center Services, Business Email Solutions, Managed IT Services, Backup, and DR Solutions, DevOps Services, Cloud Enablement, Enterprise Hardware solutions, and various other integrated services. A team of dedicated and professionally driven IT experts conversant with diverse client requirements are available 24x7x365 to provide extended support. With superior technologies to host, design and develop high-quality websites and applications, we ensure to deliver unmatched value to our clients.